VATICAN CITY — The Vatican declined Thursday to rule on a dispute among German bishops over whether non-Catholic spouses can receive Communion, asking the bishops to work it out among themselves. 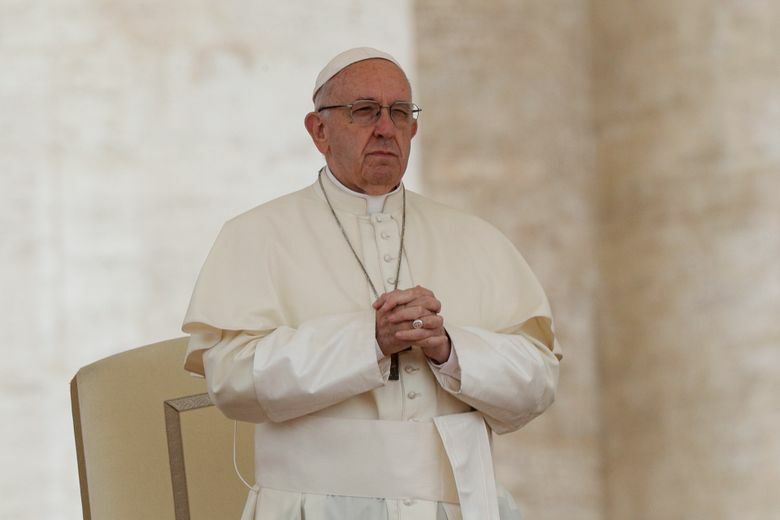 Pope Francis has sought to decentralize church decision-making in favor of local solutions, and has enraged conservatives by emphasizing conscience and case-by-case solutions to vexing pastoral problems. According to the Vatican statement, Francis himself asked for the German bishops to try to work out the dispute among themselves. The pope didn’t participate in the meeting, but his request was relayed to the participants by his top doctrinal official, Archbishop Luis Ladaria. The dispute is the second major one involving the Eucharist, after Francis roiled conservatives with his cautious opening to letting divorced and civilly remarried Catholics receive Communion. There too, conservative Catholics have argued his wiggle room undermines church teaching on the indissolubility of marriage and causes confusion among the faithful. And there too, the Vatican has largely left it to local bishops’ conferences to interpret Francis’ teaching in the way they see fit. Some of Francis’ harshest critics in that debate have hailed from the German church hierarchy, but he also has strong support for his more flexible approach from the head of the German bishops’ conference, Cardinal Reinhard Marx, who has strongly defended the conference’s outreach to Protestants.